Engraved Heart Necklace with Baguette Crystal Cross. 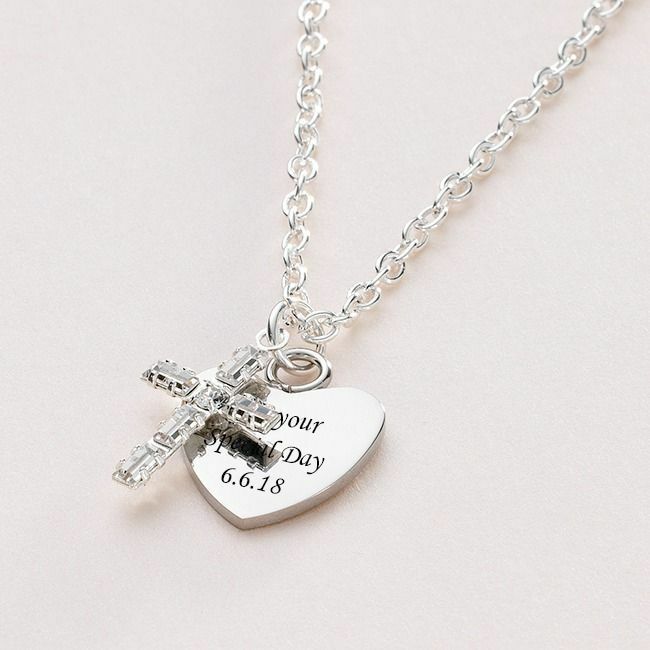 A beautiful personalised necklace for a First Holy Communion, Baptism or Christening. 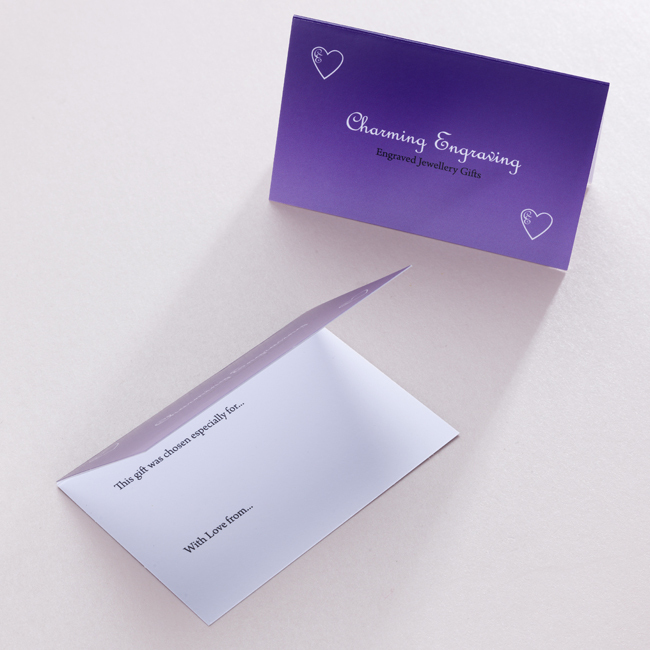 The heart pendant can be personalised on one or both sides with any engraving of your choice. Presented in a white deluxe, padded and hinged gift box with the little gift card shown. Part of our range of engraved necklaces and gifts. Sizes: Girls or Ladies sizes available. The heart is 17mm x 17mms. Metal Parts: High quality stainless steel heart, crystal cross (silver plated) on strong silver plated necklace chain.